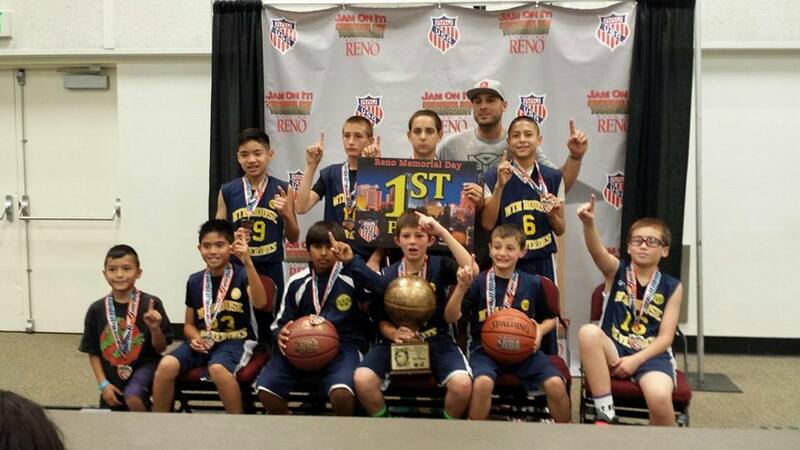 (USA-Nevada-Reno May 26, 2014) —- The Mountain House Wolverines 12U Boys team coached by Steven Trujillo finish with a 3-1 record and a 1st place finish at the Jam On It Memorial weekend tournament! They suffered a heartbreaking 39-36 loss in Game 1 to the Lakeport Basketball Club, bringing them to the Silver bracket. Determined to prove Game 1 was a fluke, they swept the Silver bracket 3-0, defeating the Ripon Warriors and Jam On It to reach the finals, where they defeated the County Bears 51-44 to take the Silver championship. With this being the first season this squad has been together, the future is bright for Coach Steve’s ballers! Congratulations players, parents and coach Steve!